Finally a new mixtape, directly from Dj Caramelo's living room. 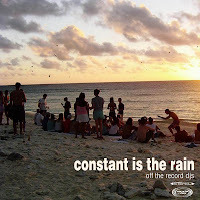 Constant is the rain, has a deep Balearic flavor, so sit back, turn on the fireplace, close your eyes and remember the lost summer afternoons. P.s I linked your blog!